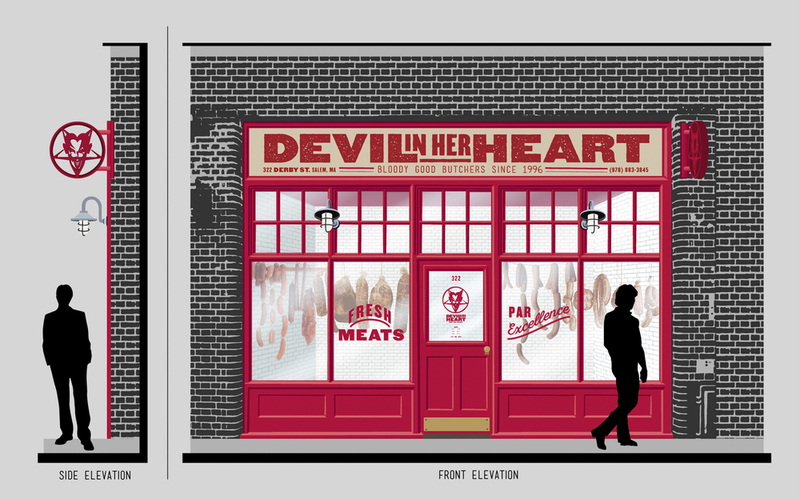 Devil in her Heart is a branding and packaging solution for a small local butcher shop offering a playful occult twist. 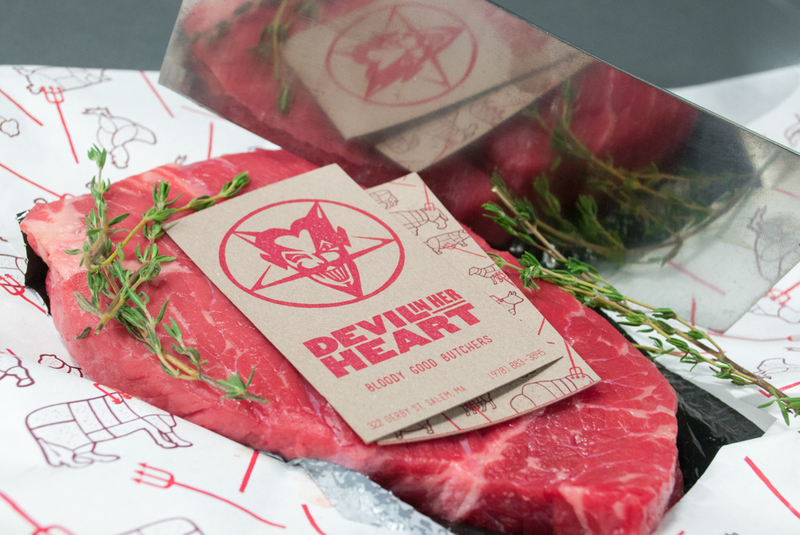 Inspired by the title of a Beatles song, Devil in her Heart comprises of an exterior store elevation; business cards; a packaging system of branded butcher paper, labels, and boxes, and employee uniforms. Its a bloody delicious time.